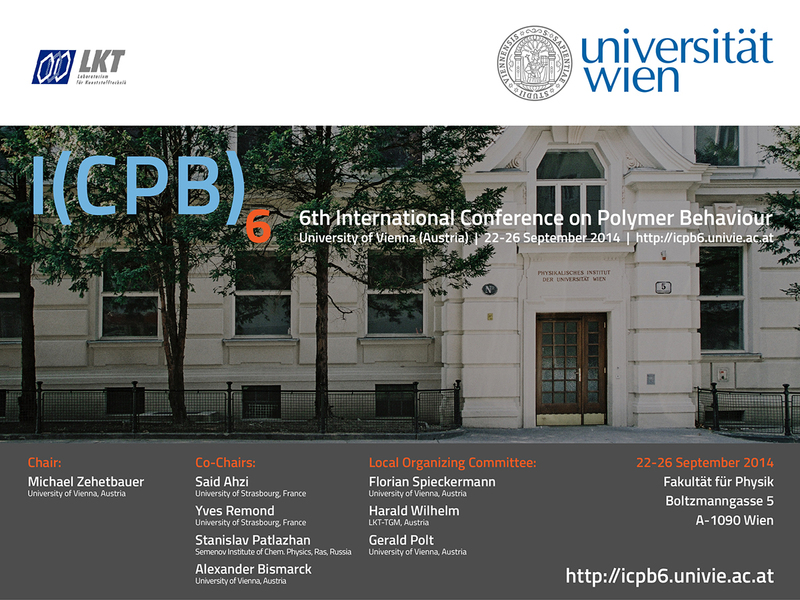 We cordially invite you to participate in the 6th International Conference on Polymer Behaviour (ICPB6) from Sept. 22 to Sept. 26, 2014 at the University of Vienna, Austria (->venue). 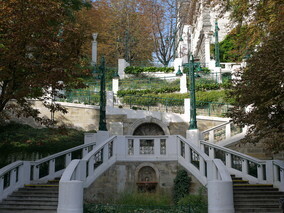 It is the sixth conference in a series of biannual meetings which started in Moscow 2004 followed by Strasbourg (2006), Marrakesh (2008), Lodz (2010), and Aveiro (2012). The aim of the ICPB 6 is to report and discuss fundamentals, structures, properties and applications of all kinds of polymers both in academia and industry. In particular, the conference focusses on multiphysics approaches for the behaviour of polymers and polymer based nanomaterials. 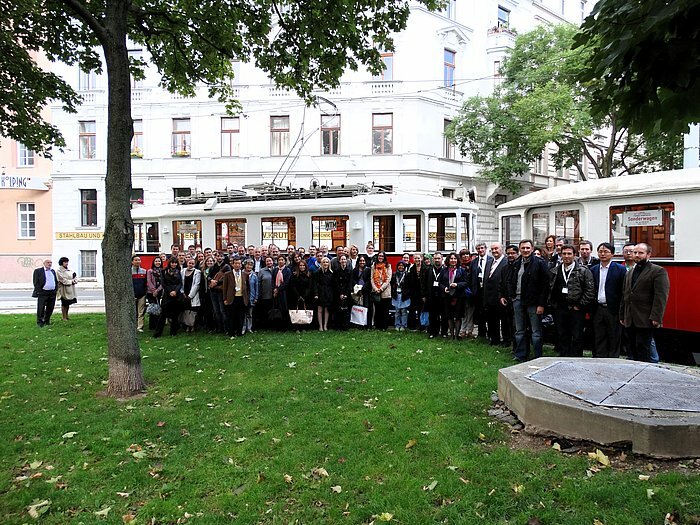 We are looking forward to seeing you in Vienna. Publications related to "ICPB 6 Special Issue"
A special issue is planned in Polymer International and all the participants are kindly invited to contribute: For the related publication details please consult here. The 7th International Conference on Polymer Behaviour (ICPB7) will be organized by Yildiz Technical University, in Istanbul Turkey in September 2016.